X-PRIV Baby Mod comes with has front glassy material and back cobra pattern for visual impact. Powered by built-in 2300mAH battery, it can fire up to 80W. You can enjoy different flavor and clouds by adjusting output mode. X-PRIV Baby Mod，which has front glassy material and back cobra pattern for visual impact, adopts built-in 2300mAH battery to fire up to 80W. With 2-inch large touch screen, more vape data will be clearly displayed. You can enjoy different flavor and clouds by adjusting output mode.Ergonomic design gives you comfortable handling. Here are 7 colors in BB. • Three-month warranty for X PRIV Baby Mod. 80w Smok X PRIV Baby MOD with a glassy texture at front, cobra pattern at back, is a new member of Smok Family. 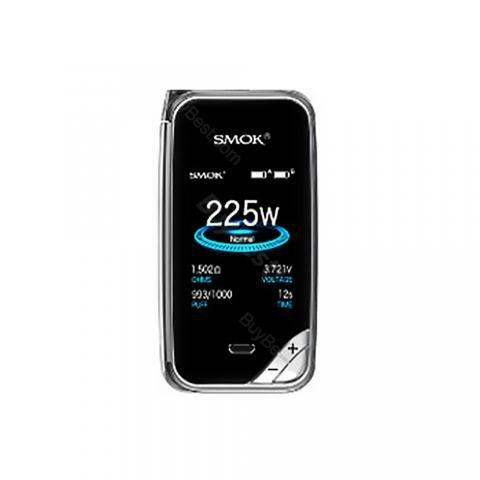 It is equipped with 2.0 inch large screen with high-definition with a Power of 80w. made of Metal Glass with an adjustable Airflow. I am a very petite person and the x-priv baby fits perfectly in my hands! I purchased the rainbow color and the colors are very vibrant and pretty! It hits really smooth and the adjustable wattage allows you to set it to your liking! I highly recommend this product!